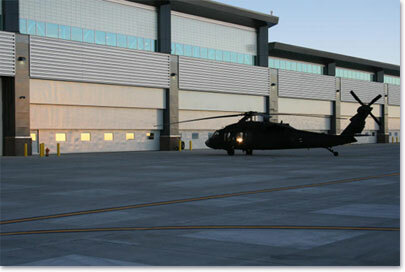 Royal offers a complete line of hanger doors that will meet any requirement for any type of a facility. We are capable of accommodating multiple aircraft of various sizes and types. Years of working engineers, architects and government agencies has provided Royal with the experience to offer our customers consulting assistance. Royal overhead door is partnered with a number of manufacturers to ensure you receive the best door for your needs with our professional installation, resulting in the best value for your project.